BleachHouseLibrary.ie: #IrishFictionFortnight - Day 13 - Caroline Finnerty. Author Feature & Giveaway. #IrishFictionFortnight - Day 13 - Caroline Finnerty. Author Feature & Giveaway. My Sister's Child will be published by Ward River Press/Poolbeg on 26th Aug 2015. Thanks to the author, there is a copy up for grabs, for one lucky #IrishFictionFortnight reader. Prize will posted as soon as books arrive from printers! Just enter via rafflecopter link below, and Good Luck! 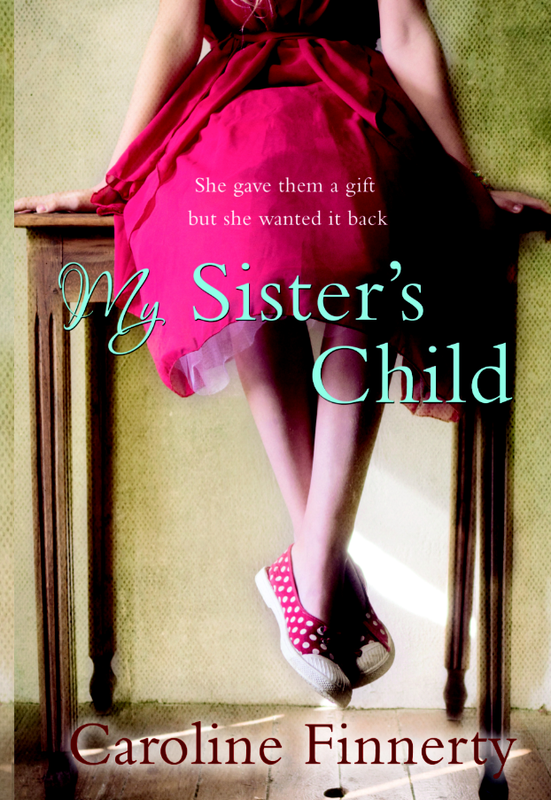 'My Sister's Child' and it is the story of two sisters Jo and Isla. Fifteen years ago, Isla donated eggs to her older sister Jo who was undergoing fertility problems. Jo managed to get pregnant using Isla's egg and her husband's sperm. They made two embryos one of which is transferred to Jo and the other was frozen in storage. Fast-forward fifteen years and Isla is experiencing infertility problems of her own, and with no options left to conceive a child, she decides to ask Jo if she can have the remaining embryo. The story deals with the tension between Jo and Isla and the dilemma faced by Jo, who doesn't want Isla to have the embryo even though genetically it was conceived using Isla's egg. It also focuses on Isla's intense relationship with her fifteen year old niece. It deals with the moral dilemmas surrounding egg donation and the issue of nature versus nurture - who really is the mother? 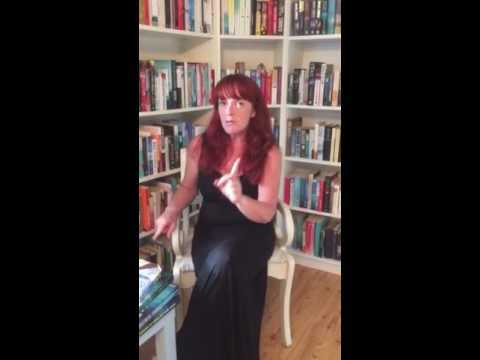 Big thanks to author, Caroline Finnerty, for whittling down her favourite characters for #IrishFictionFortnight. It can't have been an easy task! The Thing About December, Donal Ryan's second (albeit first written) novel is split into twelve chapters, each detailing a month in the life of Johnsey Cunliffe a young man living in a rural village in Tipperary. Although it is not said outright, Johnsey seems to have a very slight learning disability and has obviously been fiercely protected by his parents his whole life. When his parents die in quick succession, he is left alone with a large farm to manage. Johsney has to deal with the greedy locals are eyeing up for its land value and development potential and the town layabouts who are jealous of Johnsey's inheritance. The irony being that Johnsey seems to be the only person in the village who couldn't care about the money. Vulnerable and sorely needing someone to take him under their wing, the fate of the character of Johnsey will leave the reader unsettled for a long time after the last chapter is finished. The Snapper is an Irish institution. Set in Dublin in the early 1990's in the height of Italia 90, when Dubliner Sharon gets pregnant but refuses to tell anyone who the father is, her father Dessie hits the roof. Tensions rise in the crowded family home with scenes of great hilarity. As the pregnancy progresses though, Dessie's initial outrage begins to soften and he grows protective over his daughter. He starts to get involved in his daughter's pregnancy, leading to some very poignant moments between father and daughter. In the end it is Dessie who accompanies Sharon to the hospital when she goes into labour. Dessie is both loveable and infuriating at the same time but ultimately his good nature shines through. Inspired by the real life events of the Josef Fritzl case, Room tells the story of 5-year-old Jack who lives in a room with his mother who is being held captive by Old Nick. Through Jack's narration, we see his devotion to his mother and his innocent contentment in the room that to him is the world but is hell to his mother. Jack is funny and resilient and when he and his mother manage to escape from Room, we worry for Jack and how he will cope with this huge change in his world. I'm really looking forward to seeing the film version of Room when it hits screens later this year. 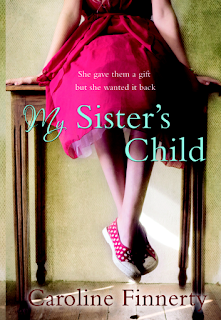 This IMPAC shortlisted debut by Niamh Boyce is set in small town Ireland in the 1930's. When a mysterious herbalist comes to visit her town, Emily, an excitable teenager who works in the local grocers, becomes infatuated with him. Both a dreamer and naive, she is blissfully unaware when the sharp-tongued locals start gossiping about her. After the death of her mother, she is severely lacking a female role model and as she continues on her crusade to win the affections of the herbalist, the reader can't help but take her into their heart. When she finally sees the shady side to the herbalist her loyalties are torn but ultimately a gutsy Emily shows her metal. Falling into increasingly popular crime subgenre of 'domestic noir', there are not many novels where we are presented with the perpetrator of deed from the outset but this is what Liz Nugent has done in Unravelling Oliver. The novel opens with Oliver smashing in his wife's Alice's head. This is not a 'whodunnit' rather a 'whydunnit'. The story then works backwards through the narration of several different characters and we learn about the nasty Oliver, the formative years of his childhood and ultimately the events that lead to this point. Unlikeable and monstrous, Oliver is a character you won't forget in a hurry. Into The Night Sky, which I read earlier this year and enjoyed. This sounds like a very interesting book. Caroline Finnerty also wrote Into the Night Sky. Into the night sky, In a moment, The last goodbye... Love them all! the last goodbye, and isn't this a gorgeous cover! The Last Goodbye. My Sister's Child sounds like an amazing, tear-jerking read!